The Specialized BG SL footbed is redesigned for lighter weight and more efficient power transfer. 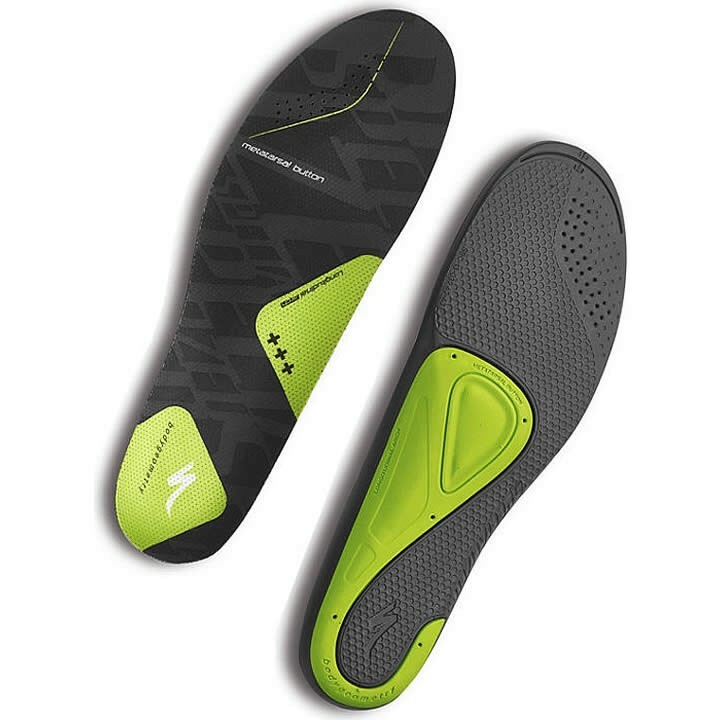 Ergonomically designed and scientifically tested Body Geometry footbeds were co-developed with Andy Pruitt, Director of the Boulder Center for Sports Medicine, to customize fit and measurably improve performance. Body Geometry shim and wedges sold separately.